Are your products subject to cyclic/repetitive loading? Are your products slender and subject to axial loading? Do resonate/natural frequencies cause problems with your designs? Join us for this Webcast to see how SOLIDWORKS Simulation can help you save time and cost by reducing the number of physical tests. 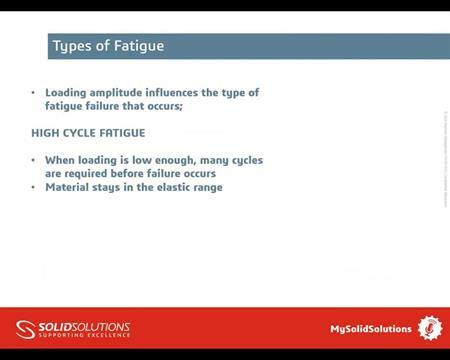 Agenda: - Fatigue Study the effects of cyclic loading on product life. Check a system’s expected life or accumulated damage after a specified number of cycles. Import load history data from real physical tests to define loading events. Buckling Virtually apply forces, pressure, gravity and centrifugal forces to your designs to determine maximum loads before buckling. Study the effects of various materials as well as isotopic and orthotropic factors. Frequency Learn how to predict and control your products natural modes of vibration to avoid potentially damaging resonant frequencies. Study the effects of both loads and material choice on your products performance.